It helps to learn as much as you can about the various screening tests available so below you’ll discover more about each test and why they are carried out. One of the most basic screening tests your little one will have is a blood test. Sometimes this is referred to as a heel test and it involves pricking the baby’s heel and placing small droplets of blood onto filter paper card. This will then be sent off for analysis. It does help if the parents get involved with this screening test. You can hold your little one and comfort them while the blood is being collected. This does tend to help make the screening process less traumatic for babies. As well as a blood test, your newborn will be given a physical assessment. This checks the baby’s heart, eyes and hips. Newborn boys also have their testicles checked. It’s typically carried out up to 72 hours after birth, then a further assessment is provided when your little one reaches six-eight weeks old. This simple test will give a good indication of whether the infant has any conditions which require further screening. The reason a second assessment is provided is because it can take a while for certain conditions to develop. This type of test is given to measure blood oxygen levels. If a baby has a low blood oxygen level for example, it could indicate a heart problem. A small machine known as a pulse oximeter is used and a sensor is placed on baby’s skin. This isn’t painful and it’s considered a non-invasive test. The pulse oximetry test is carried out on babies up to 24 hours after birth and is a very quick test lasting just a couple of minutes at the most. Auditory brainstem response – This test determines how the brain responds to sound and analyses the auditory brainstem. Tiny earphones are placed into baby’s ears and various sounds are then played. Small electrodes are also placed across the head to see how the brain reacts to each sound. If there is no consistent response to the different sounds, it could be an indication that your little one has a hearing problem. Otoacoustics Emissions test – Designed to test different parts of the baby’s ear, the Otoacoustics emissions test again uses tiny earphones, with the addition of a small microphone inserted into the ear. Various sounds are played and the microphone detects echoes. If the hearing is normal the sounds should generate tiny echoes in the ear canal so if none are picked up this does indicate a loss of hearing. The midwife or pediatrician may carry out either of the tests above, or both of them. While the above screening tests are the most common, there are more specialist screening tests available. These test for specific conditions and are not required but are worth using if you have a family history of a specific condition. They are referred to as supplemental screening and you can find out more by chatting to your pediatrician. It’s also worth noting that screening requirements differ between States. So, it’s important to familiarize yourself with specific rules relating to the state you reside. This also includes finding out the cost of the screening. Again, this will differ between States, but generally the majority of States have a fee for screening. Most health insurance plans do cover this, but it’s still worth finding out more from your local newborn screening coordinator. You will be contacted by the State Health Department or your baby’s health professional if a re-test is required. It’s important to get the second test done as soon as possible. Overall, newborn screening is important and should always be carried out, even if you have a home birth. 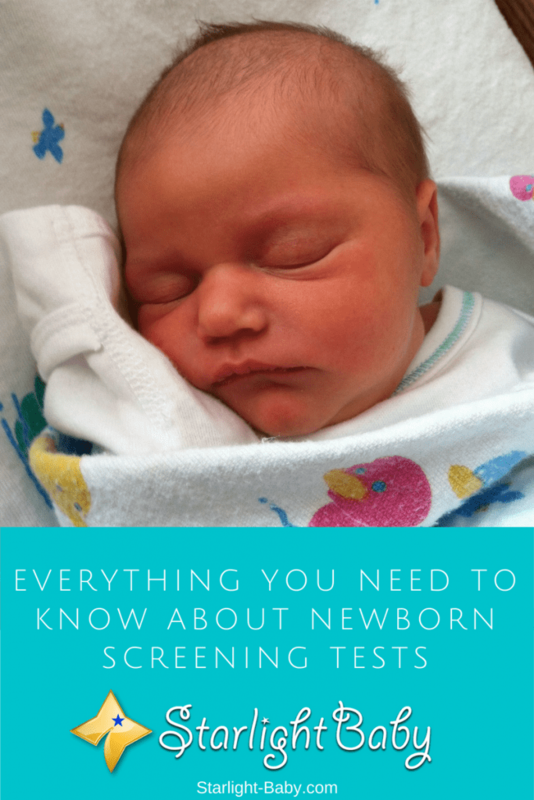 While the majority of babies are born healthy, if there are any potential health problems, newborn screening helps detect them early so that they can be addressed before they become too serious. Well, in Romania the newborn screening is important and is taken in the first days of our baby life. Only if there is a health problem w are advised to re take the tests they recommend us to do. Newborn screening is really important, wallet. Many diseases can be prevented if we have advance knowledge of it. As they say, prevention is better than cure. So I am also in favor of newborn screening. Parents should not be content that their baby looks fine and healthy. They should have him/her screened to be sure. There are lots of medical centres scattered around Nigeria, where nursing mothers go for blood testing and all that concerning their newborn babies. It is a move by the government to ensure that the new babies get the necessary medical attention as they grow into adulthood. That’s good news! A truly amazing gesture from your government in ensuring the welfare of its populace. The benefits of newborn screening should never be underestimated because children’s lives are at stake. Newborn screening is important to know the APGAR SCORE of your child. This is usually done right after the baby is delivered. It’ a 10 points in total. The higher Apgar Score, the better. It’s a sign that your child is doing well or nees medical attention. Yes, APGAR testing is also important because it is able to determine a baby’s health right after delivery. This is particularly helpful in ensuring that a newborn is not suffering from any medical condition that may need immediate attention. when my baby boy was born, he went through most of these tests. He was even kept in ICU for 24 hours because he was shivering when he was born. Thankfully, every test results were in our favor. The tests like blood taste, pulse, hearing, physical examination etc are necessary to determine whether the baby is in a perfect health condition or not. So wonderful to hear that, vinaya! That’s the best news any parent would want to hear when a baby is born.